Do you have big dreams of becoming a professional artist, designing your own products, or selling something handmade? If you’ve always wished you could break into a career that involves crafting, design, art, or something creative, you’re already on the right track having found this article. Chances are you get butterflies of excitement in your stomach thinking about how incredible it would be to do what you love for a living, but have no idea where to start, and perhaps have your fair share of doubts too. A career as an artist or designer definitely isn’t easy and a lot of people fail, but it is still possible. Many creatives out there have found ways to bring their products to market and have managed to do quite well and support themselves full time. Others opt to moonlight their creative ventures as supplemental income to a primary day job to better make ends meet. Whether you choose to launch a creative business full or part-time, there’s a lot you need to learn and prepare for in advance to give yourself the best chance possible. As a long term fan of Unconventional Guides, I’m happy to announce their latest product, Designed To Sell, brings the wisdom, tips, and experiences of 23 creative experts and entrepreneurs straight to you. This fantastic resource lets you learn from than those who have already overcome failures and found success in a range of artistic niches. This toolkit will take you through all the steps you’ve been wondering about and more. Take a look below at a sampling of the topics and knowledge you’ll be able to learn in this guide. 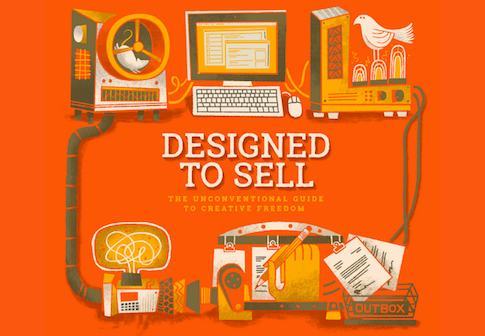 Designed To Sell is written by Jen Adrion and Omar Noory, the team behind These Are Things, a six figure print and illustration company they built from the ground up. Jen and Omar both left well paying jobs in the corporate world to pursue their own business and haven’t looked back. They’ve sold over 25,000 of their prints to more than 15,000 customers. Now that’s what I call a success! The other 21 creative contributors in Designed To Sell have their own profitable businesses in ceramics, jewelry design, tote bags, animation, illustration, commercial photography and more. Most of them have 5+ years of experience in their specific niches, many with over 10 years. Who better to learn from than those who can share their real life failures and successes with you?! Who Should Buy Designed To Sell? 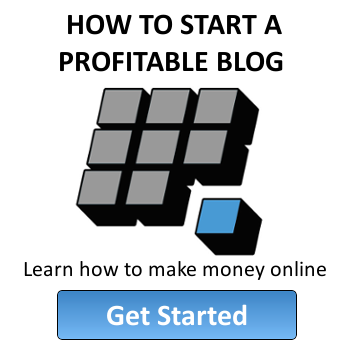 This guide is tailored towards creative people who want to earn money by making something to sell. It’s not the best fit for you if your goal is to work at an art gallery, teach a pottery class, or become an actor. The main purpose of this guide is to help students, recent grads, hobbyists, untemplate folks, current creatives wanting to boost their profitability, and 9-5’ers who want to break out on their own to start a creative business selling your own products. One of the great things about Unconventional Guides is they offer different tier packages to best suit your needs and budget. Designed To Sell is for sale in three different prices ($147, $247, $447), which are all much cheaper than going to school or trying to hire a consultant. Did you know that the average cost of an art school class is $2,355?! Now you can appreciate the reasonable pricing on this toolkit. So what is included? Depending on which package you select you can have all or some of the following. The first three items come with all packages. Another fabulous offering of Designed To Sell are the guarantees it comes with. 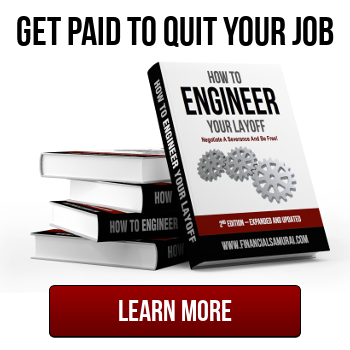 First, as with all Unconventional Guide products, it comes with a no questions asked 30 day money back guarantee. Secondly, they are so sure you will love this product that if after going through all of the materials you like the product but still doubt that you can make at least $5,000 of extra income over the next year, you can also get your money back of the purchase price. They call this their 100% Awesomeness and $5,000 Income Guarantee. Now that’s sweet! Ready to buy or want to learn more – click here or on the banner below to reach the store page. Untemplaters, have you ever thought about a creative career? What do you dream about selling? Do you have any friends or family who work as a designer, artist, crafter, hobbyist, or print maker? Copyright 2014. Original content and photography authorized only to appear on Untemplater.com. Thank you for reading! I remember when I was young, I LOVED to draw and make things. And then I got older and finance became my way of life. Now that I’m out of finance, I’m back to the creativity side of things and LOVE it. This product looks great for someone looking to utilize their creativity and earn some income on the side. I hired someone to help me get started, and I think finding a way to get started is more than half the battle in the very beginning! Yeah getting started is hard in the beginning. Having a mentor or a great guide like this can really help make the overwhelming seem possible. Ha yeah that’s a good point. Nice thanks! I read about these guys in the $100 startup. Great story and I’m sure reading their material would be fascinating for any creative. And congrats on making your own transition into the freelance lifestyle! Thanks for the great read and sharing this interesting resource.